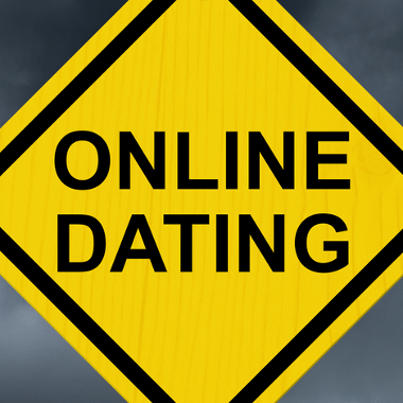 Dr Phil featured another installment of Love Scams on his show, as he tried to help another victim of online dating scams realize the truth. Would you agree to a marriage proposal via text message? What about sending his friend your driver’s license and social security number? If you said, “No, that’s ridiculous,” you are not Dr Phil’s first guest, Joy. Joy agreed to Donny’s text message marriage proposal, in part because he got her to believe that proof of family is a way to be discharged from the military. She had to give Donny’s lawyer her personal information, so the lawyer could doctor up a marriage certificate to trick the military. This story is already amazing! They even did their vows back and forth via text. They should have asked Siri to officiate. Dr Phil met Joy, who is the unwitting victim of an Air Force catfish scam by a man claiming to be Donny, whom she “married” via text message and sent money. “When I got married to him over the phone, it’s a new beginning for both of our lives,” Joy said with deep sincerity. Donny is currently “stuck” in Egypt, but he is supposed to be home for their October wedding, which has a budget of $20,000; don’t worry, she has already been dress shopping. How did these two meet? Joy met Donny on Facebook, where she was impressed by his occupation in the Air Force, which he wrote as Airforce in his totally real Facebook profile. She said she does not always understand him on the phone, due to his French accent (even though he is from Alabama). Donny was in Nigeria when they first met, but before he could travel to the US to meet Joy, a doctor called her to let her know that Donny had been shot. Can’t they just show these people old Dr Phil episodes (or the show Catfish) instead of embarrassing them on TV? Joy was very upset that Donny was shot. His other problems since meeting Joy have included being robbed, attempting suicide, being arrested, and being in a coma. Like a gentleman, he waited a whole month to hit her up for cash. She has paid for his hotel rooms, flights, medical bills, and phone, to the tune of $35,000, which he has promised to pay back. Think about what she could have done with that $35,000 if she had put it toward something real that would actually fulfill her wants and needs in a tangible way. Joy plans to move to Alabama with Donny and they are to live in a home with a waitstaff. She said they are in love, even though they have never actually met. Dr Phil asked why she fell for him, and she basically said that this is a rebound from her soon-to-be ex-husband. Dr Phil presented some bullet points about Donny’s dubious background, which included claims that the military won’t pay his medical bills, and that he is sentenced to life in the military unless he is married (which he now is, at least by the power vested in text messaging).